It’s been a bit of a whirlwind around our house over the last week or two – a few home renovations, normal business activities, client meetings, and then the really big news – the celebration of our new grandson’s first birthday. I don’t normally write about family – but the reality is that it’s difficult not to – especially when Cooper Cole is involved. 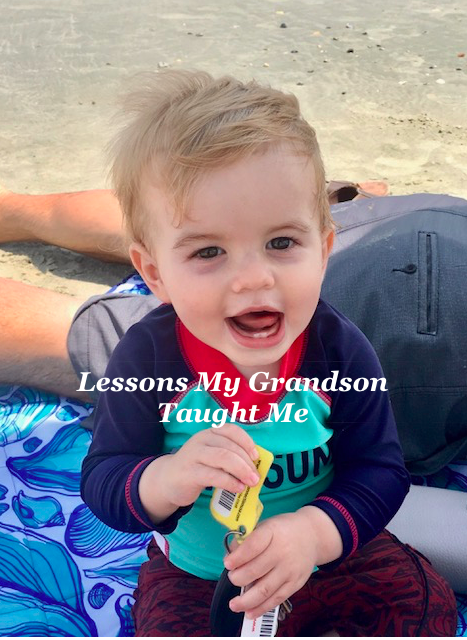 The first 12 months of his life have been an experience for all of us – certainly for Nancy and me – reliving the childhood of our own 2 boys (now young men) – and truth be told, a chance to reflect on miracles I thought I had long since forgotten. Cooper has made sure I never will. There really is wonder in the world. When he’s at our house I make it a point to announce we’re going outside to feed the birds on the back patio – and little Cooper grins and kicks his legs and makes it known this is the most amazing thing in the world as we do. We sprinkle almond slivers and the cardinals and wrens swoop in – and I watch him study them with a rapture I cannot describe. His first word was “bird” (at least I believe it to be so) though it comes out more like “burr…” as he waves his little arm toward the trees. Disneyworld will never compete with the magic of our backyard for that little boy. Love is an amazing gift from God. There is that moment with every baby when you begin to think there is some hint of recognition when they look at you. With Cooper it seemed to come early (we call that self-delusion) and the look manages to take every other priority in our life away – instantly. It eventually grows into one of unconditional love – and it is more priceless than all the riches in the world. When Cooper grins your heart has a tendency to flutter. Sure, the baby packet of gooey apple, broccoli, and pears I carry may play a part but I know love when I see it. The first step can be the hardest. He discovered walking a few weeks back – a few halting steps to be sure but he did it. And then he took a few more… and now he is transitioning to working around all the furniture as he gains confidence in his little legs. Everyday we watch him discover what he is capable of – and even when he takes a spill he recovers without a whimper and continues on – bravely plunging forward into a world that grows larger by the moment. A thousand first steps lie ahead – and he will conquer all of them. Trust solves a lot of problems. Cooper is a very social little boy – when he gets to know you his personality really kicks in. But until he does there is that stoic facade that I liken to his “Churchill look” – which means, “I’m not really sure about you yet.” Put it this way – strangers work hard to get a smile from Cooper Cole. And then when he trusts you he pushes the edge – too far. We learned early on when carrying him that he loves to suddenly invert and pitch himself toward the ground when the notion strikes him – safe in the knowledge that he can never really fall. His faith in us is boundless – what a wonderful place to be – to know you can never really hit the ground. Life is short. The past year has flown by – and when I pause to reflect on it, so has the past thirty. It was yesterday when that little toddler was one of our precious sons – and we were their world. But in the blink of an eye all that has passed. Nancy and I savor little Cooper because now we know the truth – time will not wait on us. It will simply move along – and today’s wonderful memories will be just that – a part of the past. So we’ll drink up Mr. Cooper – secure in the knowledge that in the continuous circle of life we have a part to play – and so very grateful for it. There is so much more that could be said – but the rumor is strong that we have a visitor coming to Coco and Pop’s house. Work can wait. There are adventures that beckon … and I am low on almond slivers.